This plane screen printing machine is applicable to printing smoke, wine, medicine and other scrub, ice boutique series of packaging. Medium posters, single / double-sided printed circuit boards, all kinds of metal plates, film, stickers, stickers, all kinds of PVC, plastic books, glass and other screen printing products. In order to benefit good rights and interests for our customers, we have done the testing strictly before the machine exports; try to provide the best after-sales service for our customers. Company Purpose: The best quality, leading technology, and provide the best product and service for our customers. 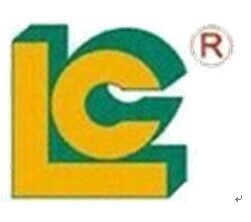 Luen Cheong Printing Equipment Group Ltd. established in 1990, which is professional in develop, manufacture and sales the Screen printer, Pad printer, Hot stamping machine, Heat transfer machine, Peripheral Equipment &Accessory. With the long time experience in manufacture special printing equipment, we are focus on making the good quality printing equipment and whole solution service for domestic and aboard. Our customers are from more than 110 countries and they are satisfied with our products and services. We passed ISO-9001-2000 certification in 2001 and we are a member of SGIA All of our industrial printers has passed EURO'S CE standard. How to care the printing machines? 2. Refence the outside drawing of work piece to make holder and model. 3. Washing the part of slide weekly, and feeding the lubricating oil. 4. Deal with the water in the filter regual, for protect the pneumatic system transfer. The hardness of pad includes the [soft", [medium" and [hard". If prints fine design, you should choose the hard pad, while prints on accidented surface, use the soft pad, furthermore, the volume and shape of pad should be similar with size of the design and surface shape of the work piece.